Dresses There are 22 products. 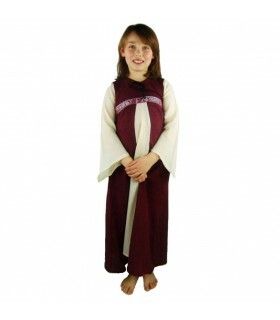 Tunic medieval for girls model Ylvi, burgundy color and made of 100% cotton. 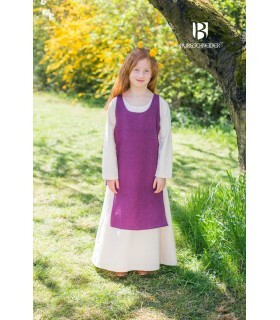 Dress-Tunic medieval for girl of simple cut, with lace-up closure in the back and is made of 100% cotton. It should be washed at 30°. 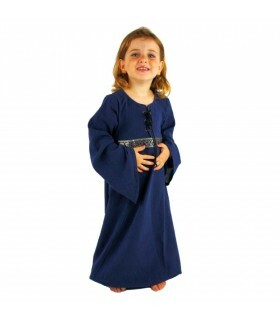 Tunic medieval for girls model Ylvi made of 100% cotton. 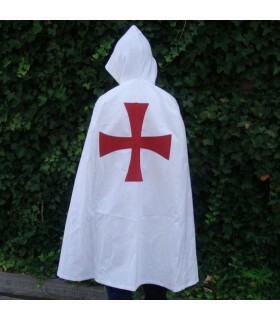 Templar coat for children with Templar cross behind. Includes short hood. Made of 100% cotton Wash only by hand. 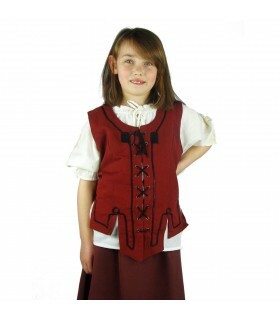 Medieval girl red vest with laces. Manufactured 100% cotton. Machine wash 30º C.
Medieval green girl vest with laces. Manufactured 100% cotton. Machine wash 30º C.
Piccola Donna model girl dress available in blue, red and green. It is a dress made of 100% cotton and should be washed by hand. 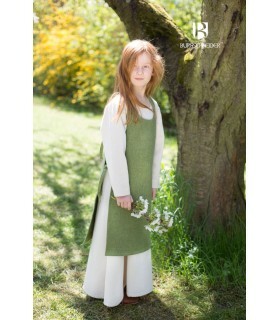 Piccola Donna model girl dress available in red-ecru and green-ecru. It is a dress made of 100% cotton and should be washed by hand. 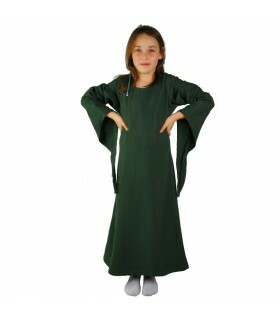 Tunic for girls available in red and green. It fits on the sides with laces. It is 100% cotton and should be washed at 30º. NO includes the white tunic. 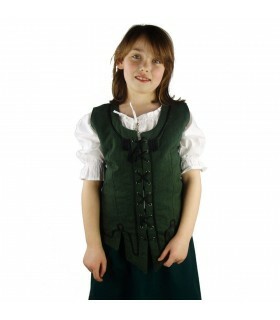 Medieval dress for girls available in green, red, raw white and dark brown. It is made of 100% cotton and must be washed at 30º. DO NOTincludes the tunic. 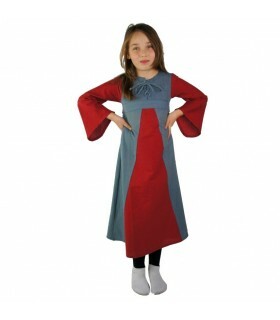 Medieval summer dress for girls available in blue-cross and red-ecru. 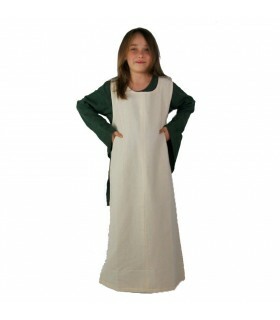 It is a dress made of 100% cotton and should be washed at 30º. 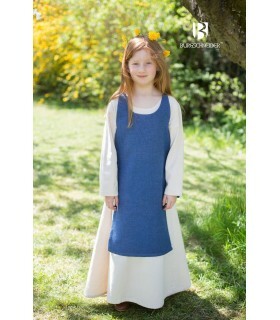 Dress medieval two-tone for girls available in raw white-blue and blue-red. Made of 100% cotton and should be washed by hand. 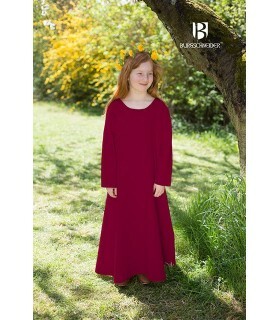 Dress medieval for girls available in red or green. It's a dress made of cotton 100% and with the edges in polyester. It should be washed in dry. 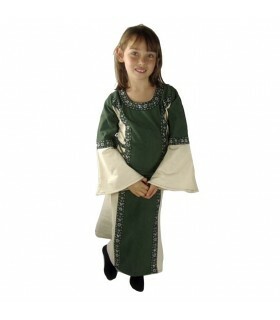 Dress medieval two-tone for girls available in green-raw and red-raw. It's a dress made of cotton 100% and with the edges in polyester. It should be washed in dry. 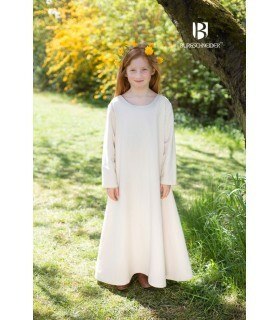 Dress medieval for girl model Eara, with hood. The dress includes the belt. It is made of cotton and should be washed by hand. Sobrevesta viking girls model Ylva lilac. It is a sobrevesta made of 100% cotton. Sobrevesta viking girls model Ylva color green. It is a sobrevesta made of 100% cotton. Sobrevesta viking girls model Ylva color blue. It is a sobrevesta made of 100% cotton. 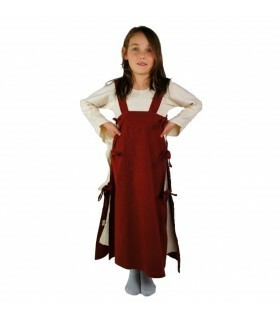 Layer medieval model Paul for children in brown color. 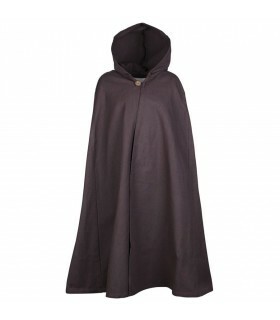 The coat comes with hood, is made of cotton 100% and closes with a button. Available in 3 sizes. It must be washed at 40 ° with the delicate clothes. 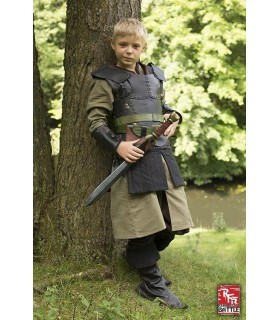 Layer medieval model Paul for children in the color black. 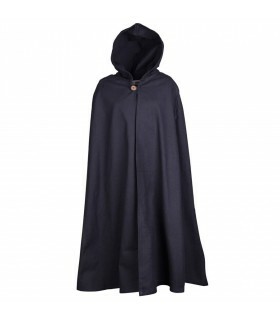 The coat comes with hood, is made of cotton 100% and closes with a button. Available in 3 sizes. It must be washed at 40 ° with the delicate clothes.